Corrects muscle function, improving circulation of blood and lymph, relieving pain and repositioning the subluxation joints. Designed to be worn for an extended period of time (3 – 4 days) without irritation, as well as during strenuous exercise or hydrotherapy. 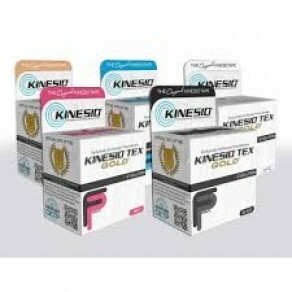 140% elasticity allows full range of motion, support and stability. Heat-activated adhesive will not leave residue. Light, thin and comfortable to the skin.